From April 23 to 26, 2020 we have another unmissable event to see us again in a new edition of the International RadiklaDarts. 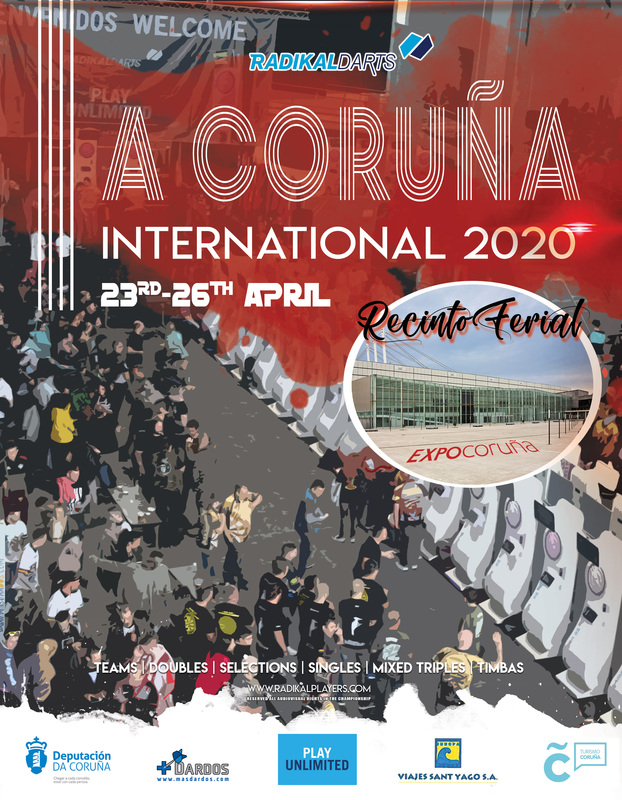 In this macro-event we will have the fabulous facilities of the Coruña Exhibition Center that will give us the advantage of a wide range of spaces for greater player comfort and organization. 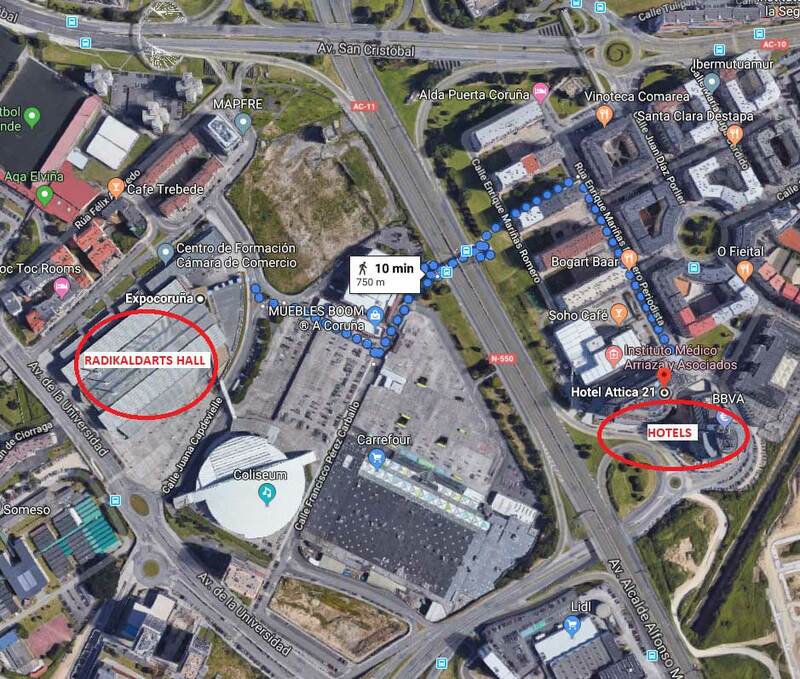 If we add to this the proximity of the hotels both in the surroundings and in the city itself and the proximity of the airport to only 10 minutes by taxi, they make this an ideal place for us to enjoy one of the biggest darts championships of the world! 2. DATES: From the 23rd to 26th of April 2020. 3. HOTELS: Two hotels 10 minute walk from the Hall with 276 rooms in total (AC Hotel & Attica 21) and many more in the city. 4. 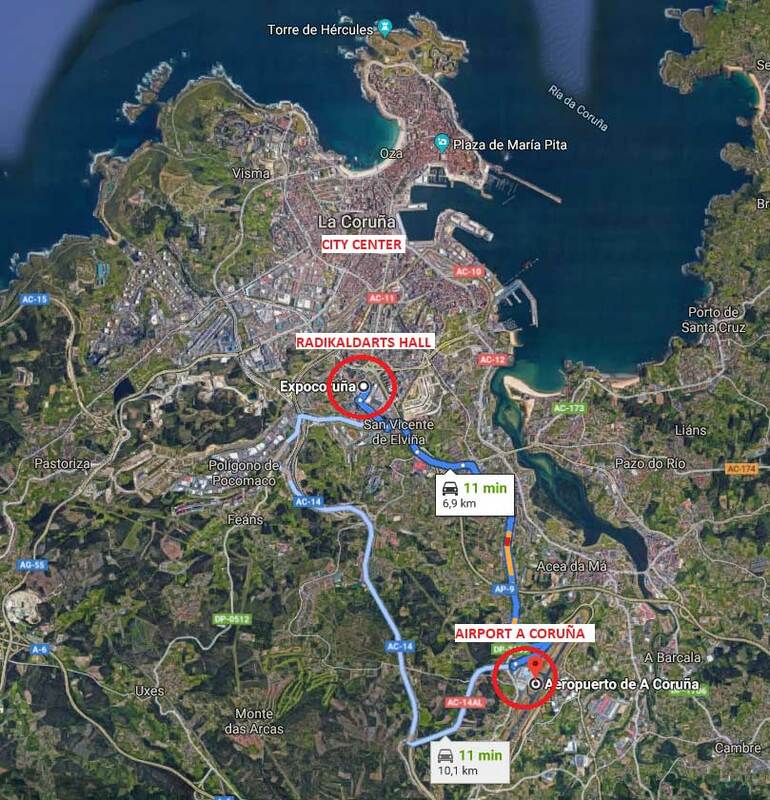 AIRPORT: The city of A Coruña has an airport 11 minutes away by taxi from the Hall. 6. DEADLINE: Next year the last date to register players at the containers will be April 7th 2020.